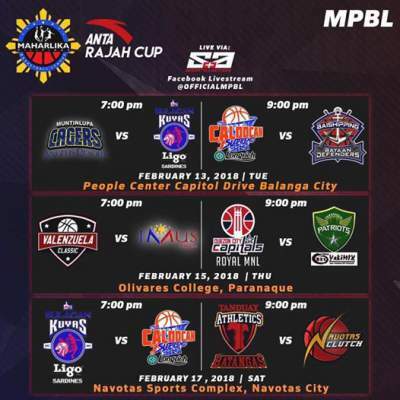 Here is the details for Bulacan Kuyas vs. Caloocan Supremos in the elimination round of 2018 Maharlika Pilipinas Basketball League (MPBL) Rajah Cup. Stephen Siruma scored 15 points, while JR Taganas grabbed 17 rebounds to lead Bulacan Kuyas in a 92-74 win over Caloocan Supremos. James Martinez and Marlon Monte added 14 points each for Bulacan. Jess Mar Villahermosa had a game-high 21 points for Caloocan. Watch the highlights from Bulacan Kuyas' 92-74 win over Caloocan Supremos on February 17.